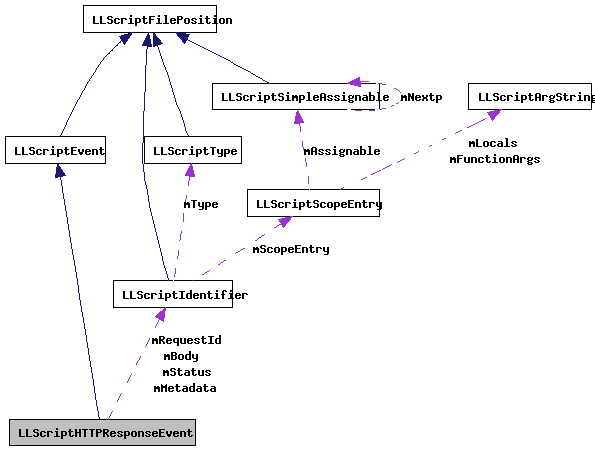 Definition at line 757 of file lscript_tree.h. Definition at line 760 of file lscript_tree.h. Definition at line 2878 of file lscript_tree.cpp. Definition at line 2772 of file lscript_tree.cpp. References LLScriptByteCodeChunk::addBytes(), LLScriptScope::addEntry(), LLScriptScope::checkEntry(), LLScriptFilePosition::fdotabs(), gErrorToText, LLScriptGenerateErrorText::getErrors(), LIT_VARIABLE, LSCP_EMIT_ASSEMBLY, LSCP_EMIT_BYTE_CODE, LSCP_PRETTY_PRINT, LSCP_RESOURCE, LSCP_SCOPE_PASS1, LSERROR_DUPLICATE_NAME, LST_INTEGER, LST_KEY, LST_LIST, LST_STRING, mBody, mMetadata, LLScriptIdentifier::mName, LLScriptScopeEntry::mOffset, mRequestId, LLScriptIdentifier::mScopeEntry, LLScriptScopeEntry::mSize, mStatus, NULL, LLScriptIdentifier::recurse(), S32, and LLScriptGenerateErrorText::writeError(). Definition at line 782 of file lscript_tree.h. Definition at line 781 of file lscript_tree.h. Definition at line 779 of file lscript_tree.h. 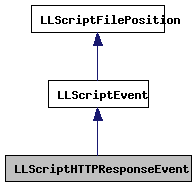 Definition at line 780 of file lscript_tree.h.